LTS Group is an educational recruitment agency, specialising in SEND. But actually, we’re more than that. We offer a bespoke service that is tailored to the needs of the child, matching them to skilled and experienced candidates. We understand the challenges of SEN teaching. And for that reason, we greatly appreciate the skills and experience you’ve gained. We admit, our candidates are chosen with care - but will benefit from on-going support and training, even once we find your perfect placement. When it comes to finding SEN support, it isn’t a case of ‘one size fits all’. We know the issues involved in offering a strong educational structure. That’s why we only provide the very best candidates - staff who understand the challenges these children face, and who give the right support and care to help them fully engage in learning. We’re always seeking skilled candidates so that can offer the very best staff and match your skills to our diverse range of needs. Take a look at our current vacancies, or leave us your details here. "LTS have been an amazing agency to work for! 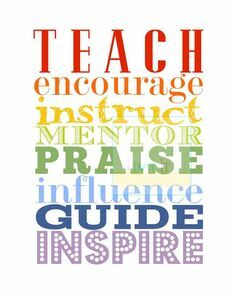 I have worked with many experienced members of staff, in different schools, providing me with the skills to make an impact on many children’s lives. LTS are a very fair, understanding and professional agency to work for. I have recommended LTS to many friends, due to the numerous opportunities they provide. They have enhanced my skills and positively influenced my life and career. " "LTS Group provide a wonderful service offering the highest level of professionalism to clients. They are flexible and have tutors and staff of a high calibre. Our school has been using their service for many years and in a wide range of situations, such as home tutoring, tutoring taking place at offsite school provisions and working with a wide range of educational needs including pupils who have social, emotional and behavioural difficulties."